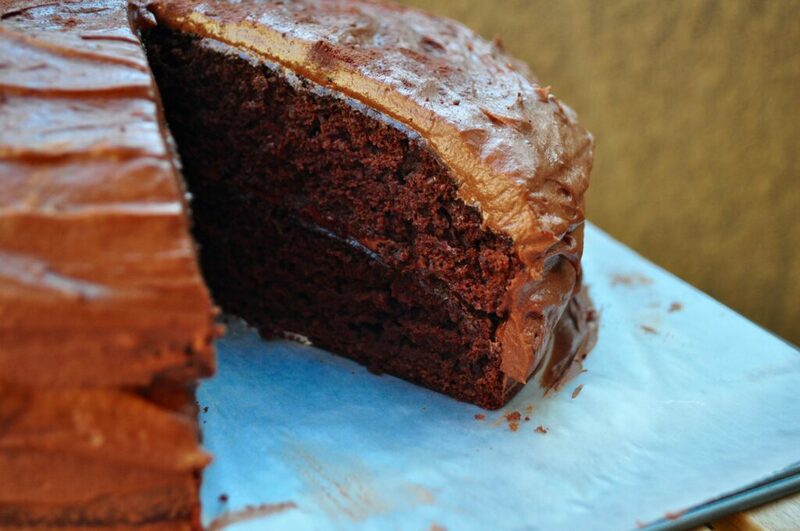 There are a few words, a story perhaps, behind this beautiful Kiss & Make-up Salted Chocolate Cake. I love to bake. I’ve said it many, many times before and posted countless baked goods (sometimes-paleo, sometimes not) recipes. And just because I’m on a sugar-less, figure competition prep diet doesn’t mean my love for baking has subsided. I still crave to bake and good thing I have a willing participant to test out the end results. That willing participant is quite the trooper. Not just because he is subject to eating my baked creations (sometimes they’re great! Sometimes they’re very healthy…). He’s a trooper because he has to deal with me. Sometimes I’m not the… how shall I put this… most delightful person to be around. Overall, I’m stubborn and slightly selfish but I’m also sweet and giving. Yin and Yang. Hot and cold. Fire and… more fire! Things balance out but I do have my moments. And when I have those [bitchy] moments, my wonderful, handsome, kind, and oh-so-patient willing cake eater takes the brunt of things. 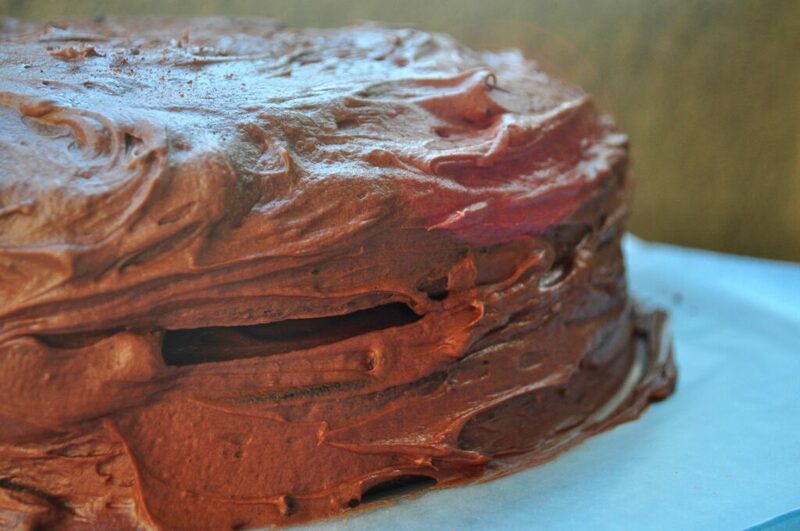 This Kiss & Make-Up Salted Chocolate Cake may have stemmed from the wrath-of-Lori moment. And maybe I wanted to be a sweeter, kinder, more giving person after emotions cooled a bit. And maybe I wanted to bake! This cake is delicious. Super rich, slightly dense and absolutely chocolatey. The espresso/coffee just adds a bit of wonderful bitterness, and topped with the light and fluffy chocolate frosting – WOW. Chocolate punch to your face! I topped this one with a sprinkle of cayenne pepper, a dusting of cacao powder and a pinch more of coffee powder, and of course, freshly ground sea salt. 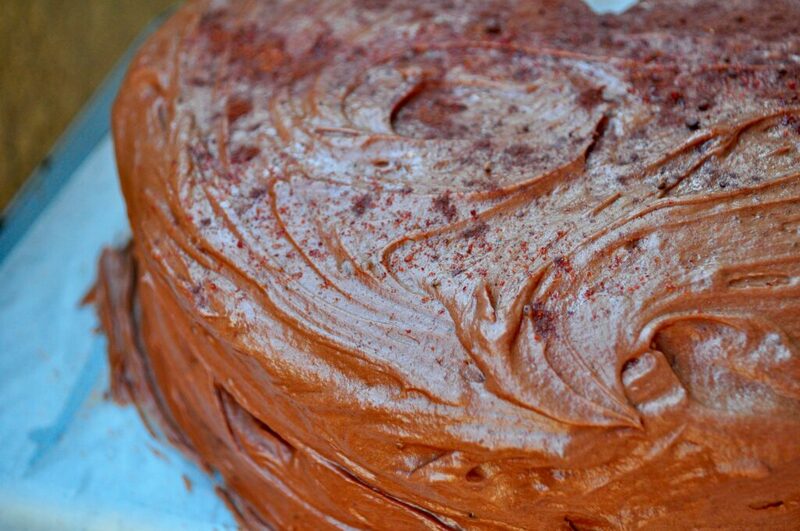 So, to my dear readers, and my wonderful boyfriend, this Kiss & Make-Up Salted Chocolate Cake is for you. Oh, and Lori was forgiven in the end (as you see from the missing slice of cake). Preheat oven to 350 degrees F. Prepare two 9-inch cake pans by spraying with baking spray or coating with butter. Add flour, sugar, cocoa powder, baking powder, baking soda, salt and espresso powder to a large bowl or the bowl of a stand mixer. Whisk through to combine or, using your paddle attachment, stir through flour mixture until combined well. Add almond milk, olive oil, eggs, and vanilla to flour mixture and mix together on medium speed until well combined. Reduce speed and carefully add boiling water to the cake batter. Beat on high speed for about 1 minute to add air to the batter. Distribute cake batter evenly between the two prepared cake pans. 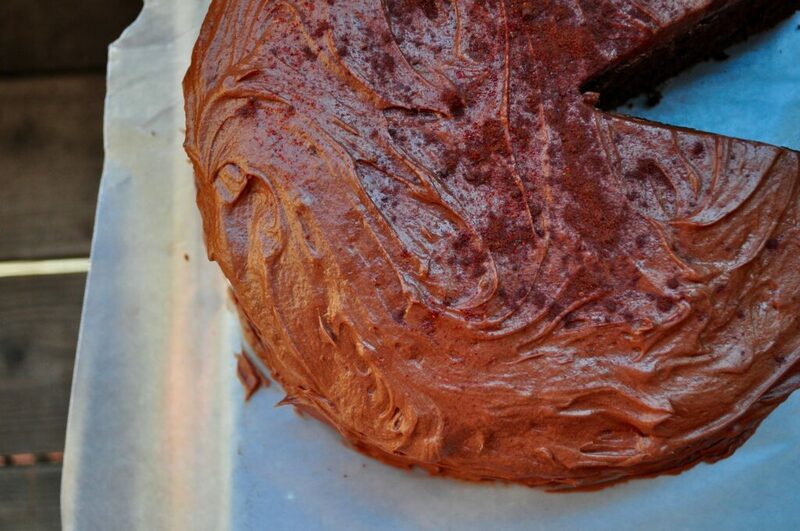 Bake for 25-30 minutes, until a toothpick or cake tester inserted in the center comes out clean. 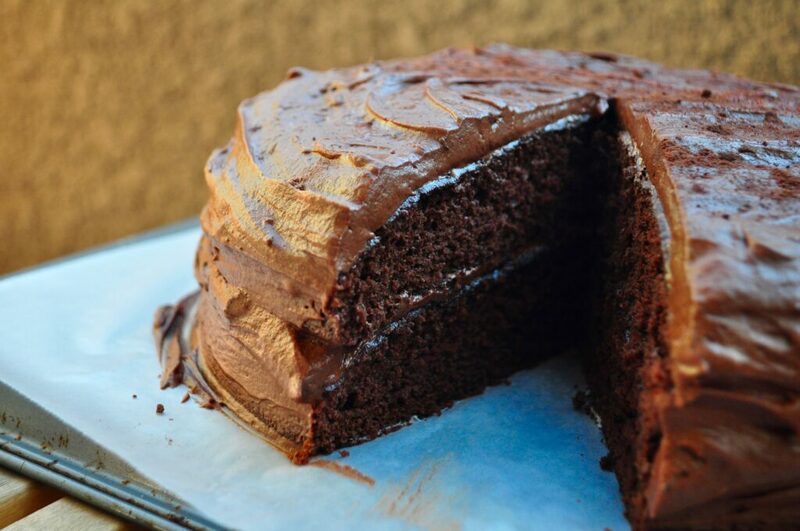 Frost cake with Whipped Chocolate Frosting. Top with cayenne pepper, cacao powder, espresso powder and/or a pinch sea salt. Add cocoa powder to a large bowl or bowl of stand mixer. Whisk through to remove any lumps. Cream together softened butter and cocoa powder until well-combined. Add sugar and almond milk to cocoa mixture, adding 1 cup of sugar followed by about a tablespoon of almond milk. After each addition has been combined, turn mixer onto a high speed for about a minute.Add vanilla extract and espresso powder and combine well. Repeat the addition of sugar and almond milk until all have been incorporated – or until you reach the desired consistency of frosting. I wanted a thicker and more heavy frosting so I added all 4 cups of sugar. 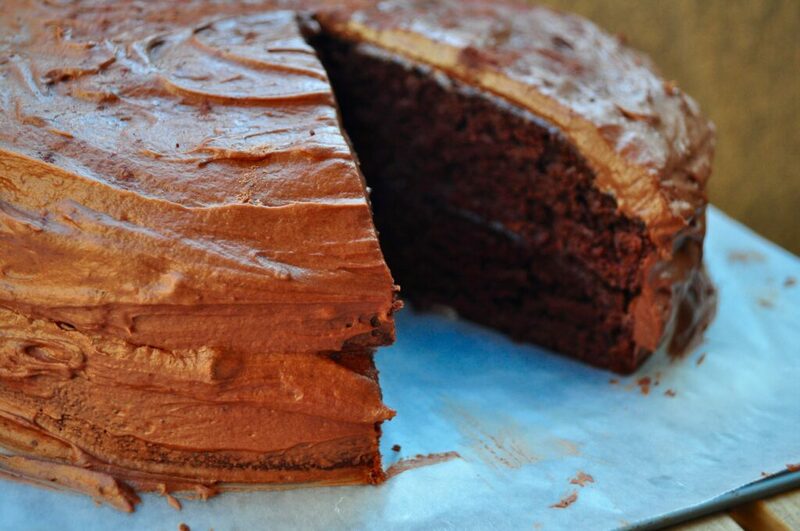 Note: If frosting seems too dry, add more milk, a tablespoon at a time until it reaches the right consistency. If it appears to wet and does not hold its form, add more confectioner’s sugar, a tablespoon at a time until it reaches the right consistency. This isn’t science, it’s playtime! This looks like the perfect balance between healthy and a yummy baked product. 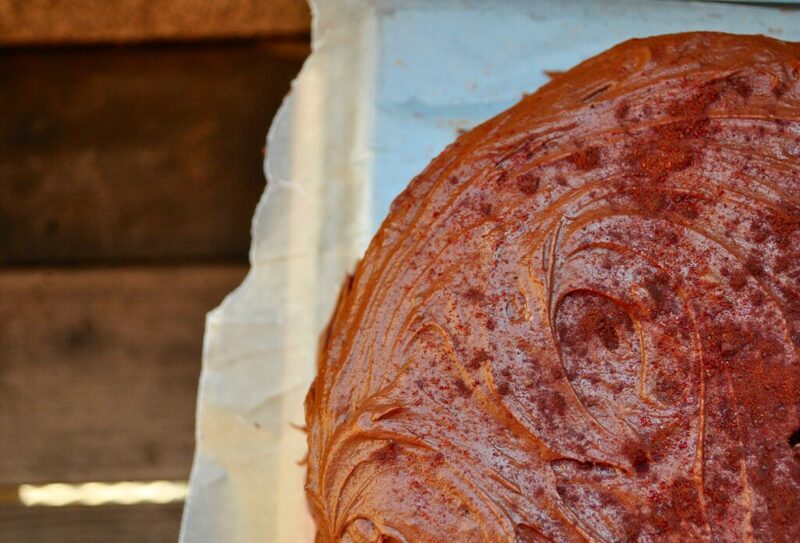 Isn’t it amazing how well olive oil works in cakes? I love the idea of the toppings, too, I’m sure the sprinkle of cayenne and cocoa/coffee powders and salt puts it over the top, as well as being a nice-looking garnish. Thank you for your comment!! 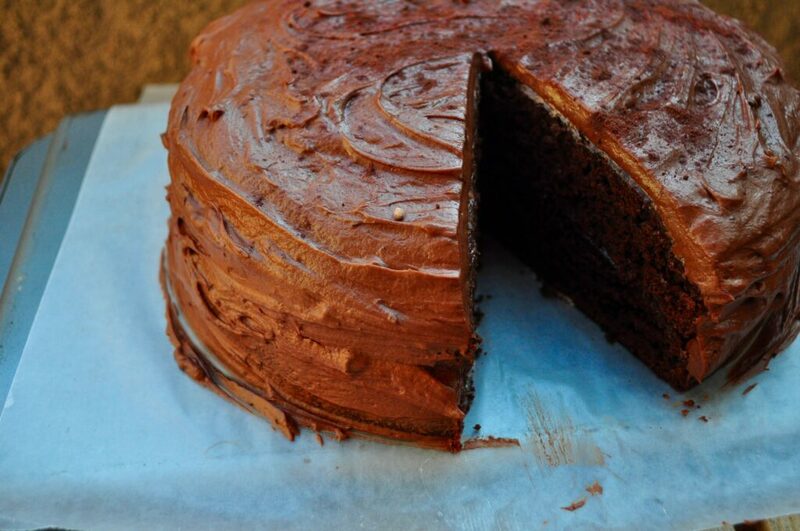 Yes, this cake was wonderful – and olive oil in cake almost makes it more moist and rich! Topping with a sprinkle of spice is just fun… and delicious! Aw, well I’m glad you have someone who loves you for you – up and down days! Of course, it’s that fire that makes you such an awesome person – and you are WAY more sweet than you might think.